According to government statistics (2016), there has been a 50% rise in the number of disabled children in England with complex needs since 2004, including a doubling in the number of children with complex autism. Those young people and their families and carers will need National Star’s high quality expertise and support and we are committed to being there for them. Our mission is to enable people with disabilities to realise their aspirations. We will continue to increase opportunities or personal development through our specialist residential and day programmes, facilities and resources which are accessible to people from across the UK. 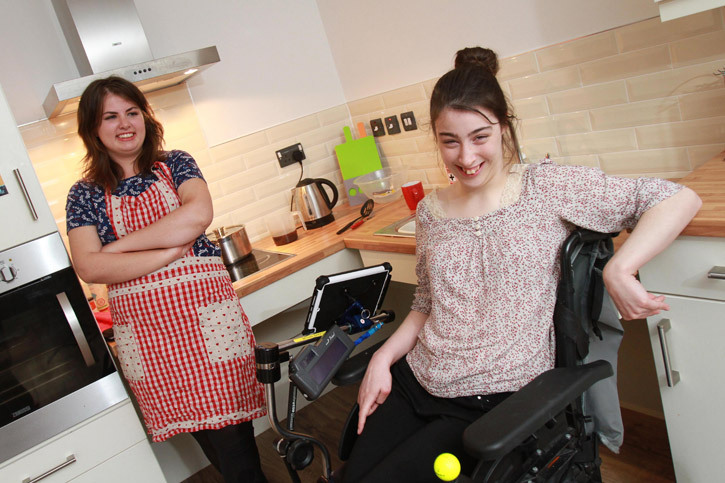 For 50 years we have provided residential college placements for young people with a wide range of disabilities, medical and care needs. That experience has meant that our care provision is second to none. Students have told us about the lack of suitable post-education accommodation and we responded by opening our first long-term accommodation. That need for long-term accommodation is growing and we are committed to supporting that need. At the centre of all of our work is the belief and passion that, with high quality and expert support, people with disabilities can realise their aspirations. We believe it is about what people ‘can do’, not what they can’t.